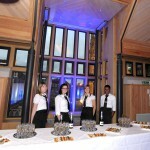 Located within our stunning Conference Centre at Canterbury Cathedral Lodge, the Kentish Barn is a versatile space for a range of events, receptions and meetings in Canterbury. 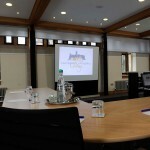 Offering a modern meeting room facility yet its award-winning design and Cathedral views reflect the classic splendour of its setting, overlooking Canterbury Cathedral. 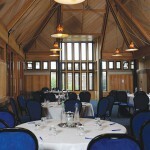 For increased flexibility, the Kentish Barn can be divided by a wall offering the option of two further meeting spaces, the Dean John Simpson Room and the Canterbury Room. 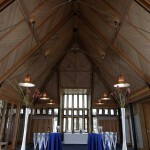 When the Kentish Barn is divided by sound proof walls, it offers the option of two further meeting spaces, one of which is the Dean John Simpson Room. 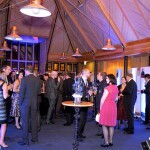 The Dean John Simpson Room will provide conference delegates with stunning views of Canterbury Cathedral and is the perfect venue for a drinks reception. 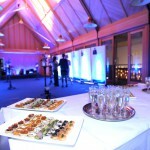 When the Kentish Barn is divided by sound proof walls, it offers the option of two further meeting spaces, one of which is the Canterbury Room.